Our project GORKHA HERITAGE TREK is part of a program for reconstruction in the Gorkha regionafter the April 2015 earthquake. In order to support the local farmers financial and logistic assistance was provided. New sources of income and work opportunities were generated for the local population. Not only the persons directly involved benefit, but also their neighbours who can sell agricultural products and souvenirs. Nepalmed is actively involved in the repair of tracks and environmental protection by training the participants. The Gorkha Heritage Trek offers hiking in intact nature, rich flora and fauna, authentic country life with traditional handicrafts, overnight stays with locals, great mountain views, insights into the history of the region with traditional dance and music. The route leads through the cultural heartland of the district of Gorkha over altitudes between 600 and 1400 m. From the road to Besisahar, to Turture along the Mashyangdi river to the former Palungtar airfield on to Tati Pokhari. From there, over ancient stonesteps you will reach the historically interesting mountain Ligligkot. Follow the traces of the race track on which formerly the Gorkha kings were chosen. This tradition has been revived for several years in the form of a long-distance run. Ruins of the castle and the Kali temple testify to the once – importance of the summit. 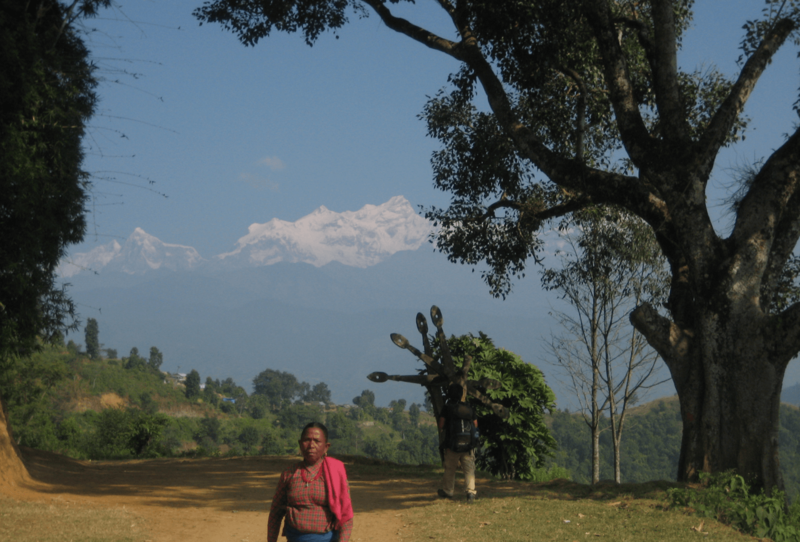 On the north side of the mountain, visit the Amppipal Hospital, one of only two hospitals in the district of Gorkha. The final destination is the tranquil district capital Gorkha with its wonderful palaces and temples. There is connection to Bandipur, Pokhara, Chitwan or Kathmandu.